Huawei is currently the largest manufacturer of telecommunications equipment, but it is a very young company – it was only founded in 1987. And it didn’t start making phones until 2003, but it already has ambitions to be the largest smartphone maker in the world, just like in conquered the networking hardware field. The first phone to come out of Huawei’s handset division was the C300 in 2004. It was a simple feature phone for CDMA networks. Then came the U626, the company’s first 3G-enabled phone (the history of China’s mobile networks is quite interesting, but here’s not the place). The real fun didn’t start until MWC 2009 when the Huawei U8220 was unveiled, the company’s first Android phone, which came only months after the T-Mobile G1. The U8220 was also exclusive to T-Mobile in some regions. A successor the – U8860, better known as the Huawei Honor – kicked off a line of affordable Androids that would over time become more independent from the main brand (but they still clearly share most of their tech). 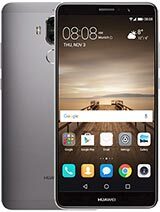 Honor was a “China first” brand from the start, but was also available in the US (on Cricket as the Huawei Mercury) and other regions too. We were fairly impressed with the phone, even compared it to the Sony Ericsson Xperia Arc. A few years later Huawei was feeling confident enough to build its first flagship – the Ascend P1 and Ascend P1s were announced at at CES 2012. The design was a wink at Samsung’s Galaxy S II as were the 4.3″ Super AMOLED screens (though these were qHD PenTile panels instead of the WVGA RGB panel of the Samsung leader). The “s” model’s claim to fame was its stunningly thin frame – 6.7mm. Strangely enough it had a larger battery than the 7.7mm thick P1. We have a hands-on from back in the day and even a full review of the Huawei Ascend P1. 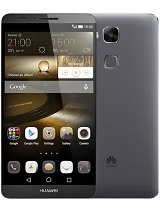 Just a couple of months later at MWC 2012 Huawei unveiled the Ascend D quad, its first phone with a quad-core processor. 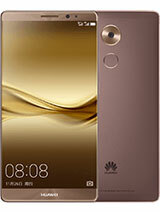 At the same event LG unveiled the Optimus 4X (powered by Nvidia Tegra 3), but Huawei did not want to rely on external companies for its chipset. 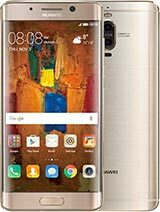 And so the D quad was powered by the Huawei K3V2 chipset – a 40nm part with quad Cortex-A9 CPU and 16-core Vivante GC4000 GPU. Huawei also outed the Ascend D quad XL, which had a larger battery (2,600mAh vs. 1,800mAh) and a slightly downclocked CPU for better battery life. The Ascend D1 used a TI OMAP 4460 chipset instead (dual-core CPU), the phone was essentially a variation of the P1. Back then Huawei was using pure Android and in our hands-on we commented on just how snappy it was with what Huawei was claiming was the fastest quad-core processor that the mobile world has seen. That didn’t last, though, by the end of 2012 Huawei unveiled a software update that introduced Emotion UI 1.0 (aka EMUI). While the “Ascend” name would stick around for a while longer, its children would eventually split off into separate families. This next one would grow to be the king of Huawei phones. 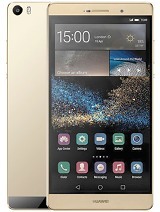 The Huawei Ascend Mate was shown at CES 2013. The company hadn’t yet broken completely free from Samsung’s influence and this was clearly an answer to the Galaxy Note phones, but we saw its potential. 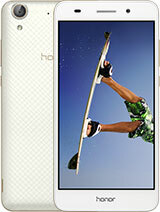 It had a 6.1″ screen (720p IPS LCD), so larger than the Galaxy Note II and Note 3. And a large 4,050mAh battery, something that would go on to become a staple of Huawei flagships. The Huawei Ascend P2 was the first phone with LTE Cat. 4, which enabled (theoretical) download speeds of up to 150Mbps. Other than that, it wasn’t the most impressive piece of tech – it was 8.4mm thick, it had a small internal storage and cost almost as much as the Galaxy S III and HTC One X, even though it couldn’t quite match those two. Both the P2 and the Ascend Mate used the old K3V2 chipset, which was no longer the “world’s fastest”. Around this time the Huawei Ascend W1 would be born, the company’s first non-Android smartphone. It ran Windows Phone 8 and it spawned two sequels, but the W-series is just a footnote in Huawei’s history (the OS itself didn’t leave much of a trace either). While we’re on the topic of non-Android Huaweis, the company also dabbled in Firefox OS with the Y300II with even less success. Back to the main series. 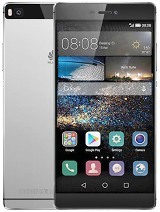 The Huawei Ascend P6 was a sequel to the P2 (never mind how numbers work) and it was properly thin – 6.2mm – hearkening back to the original. However, it still used the K3V2 chipset, which was now over a year old. In fact, HiSilicon wouldn’t produce a new chipset until mid 2014. The Huawei Ascend P7 came with the first Kirin chipset – the Kirin 910T. It was built on the more efficient 28nm process and a new GPU, but still had a quad Cortex-A9 CPU (at a higher clock speed). Later that same year the Ascend Mate7 would bring HiSilicon’s first octa-core design – the Kirin 925 had a big.LITTLE design with Cortex-A15 and A7. While the flagship P-series and Mates started getting new chipsets with each iteration, Huawei’s budget lineup learned to use a chip as long as it could. The Kirin 620 was first used in the late 2014 model Honor 4X (with some versions having the Snapdragon 410 instead) and last used late 2016’s Honor Holly 3. It may seem like we’re too focused on the chipsets of phones, but the next year (2015) would show just how important it is to have an in-house design. As hinted at in the previous Counterclockwise, Apple’s introduction of the 64-bit A7 chipset wrecked Qualcomm’s strategy. Only three companies would avoid the pain of having to use a Snapdragon 810 chip: Apple, Samsung and Huawei. We’ll fast forward a bit. 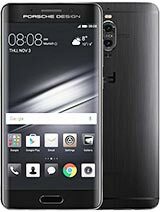 The Huawei P8, Huawei P8max and Mate8 were fine phones (note: no more “Ascend”), but they were small improvements over the previous generation. 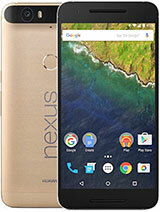 Let’s talk about the Nexus 6P instead. It was a return to pure Android for Huawei and a well-loved phone overall. It sported a sharp 5.7″ AMOLED display (1440p), a cool metal build, stereo speakers and a great camera. The phone was powered by a Snapdragon 810 chipset instead of a Kirin chip, perhaps because the LG-made Nexus 5X used a Snapdragon 808 and this kept things simpler. In case you were wondering why Huawei doesn’t sell Kirin chips other companies, it’s because it sees them as a competitive edge. See, a focus on chipsets pays off. Huawei also introduced its first smartwatch – the Huawei Watch – in 2015. 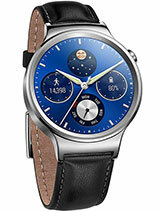 Unfortunately, it there are no watch-oriented HiSilicon designs and Android Wear watches (including the Huawei Watch 2) have been using the same outdated Qualcomm hardware ever since. Okay, Qualcomm technically released two new Snapdragon Wear chips, but you have to look at their spec sheets very closely to see what changed. Huawei next partnered up with lens maker Leica to design mobile cameras together. The first fruit of their labors was the Huawei P9 and its dual 12+12MP camera. The second module shot in Black & White for cool monochrome shots but also improved low-light shots. However, Huawei’s recent focus in camera development is on photography, video feels overlooked. The P9 could shoot only 1080p/60 video (in 2016!) and even this year’s P20 Pro can’t do 2160/60, even though it’s common among 2018’s top flagships. Leica isn’t the only German brand that is working with Huawei. 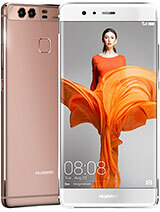 Porsche Design helped design a special edition of the Huawei Mate 9 Pro, which had a curved AMOLED display, unlike the flat LCD of the regular Mate 9. The Mate 10 Porsche Design, Mate RS (nee P20 Pro) and Watch 2 PD would follow. If you’ve made it this far, you can guess how the story of Huawei’s phones progresses. The top dogs use Leica cameras (this year the count went up to 3) and the best Kirin available. The upcoming Mate 20 phones will use the 7nm Kirin 980 chipset. By now you know not to underestimate the importance of a good chipset. Apple may have beaten Huawei to market with the first 7nm chipset (the A12 Bionic), but Huawei claims the Kirin 980 is faster. And it will definitely be the first 7nm chipset for Android, not to mention the first to use the A76 CPU and G76 GPU, which are part of ARM’s plan to fight Intel on performance. The Huawei Mate 20 and Mate 20 Pro are set to be unveiled on October 16. They’ll bring the new chipset and the next generation Leica camera and will hopefully write another glorious chapter in Huawei history.